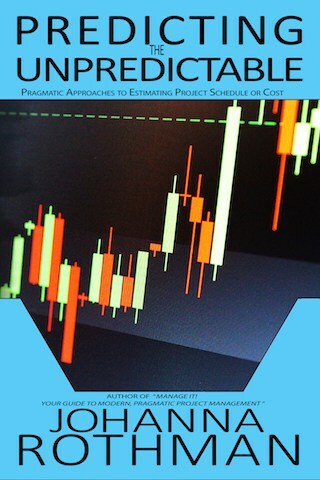 Do people ask you for information about project estimates, either for the schedule or the cost? Do you feel uncertain about your estimates? Would you like some ways to estimate and options for providing that information? Estimates are guesses. That doesn't prevent people from wanting to know the estimate. You can make better estimates, predictions, and increase their usefulness and accuracy. Learn how to think about estimates, make better estimates, and update the estimate when reality hits. Why Do We Estimate Anyway? Need to Learn More about the Work You’re Doing? Spike It! You can find the book on Amazon, too, ebook, audio and print. I'm delighted the Pragmatic Bookshelf is carrying the book also. If you bought the audio book and you are looking for the supplemental materials, here is the link: SupplementalMaterialsPredicting.pdf.